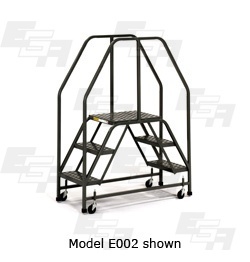 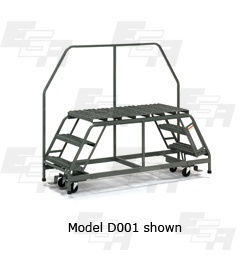 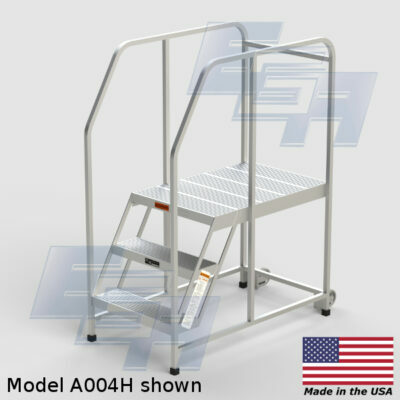 EGA offers the finest quality rolling ladder parts to ensure a long life for their workhorses of the warehouse. 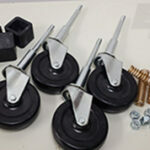 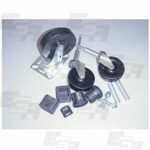 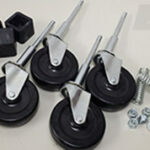 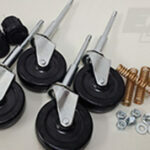 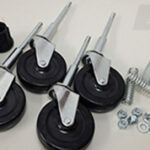 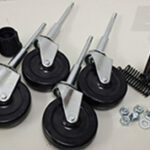 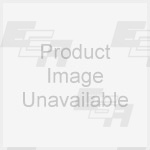 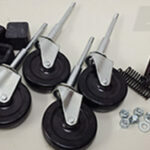 Ladder replacement caster kits include 3″ diameter stem, 2″ diameter stem rubber tips, springs, etc. CK4D	 Replacement 4" casters (set of 4 swivel plate casters), with 2 1/2" bumpers (set of 4) & hdwe.